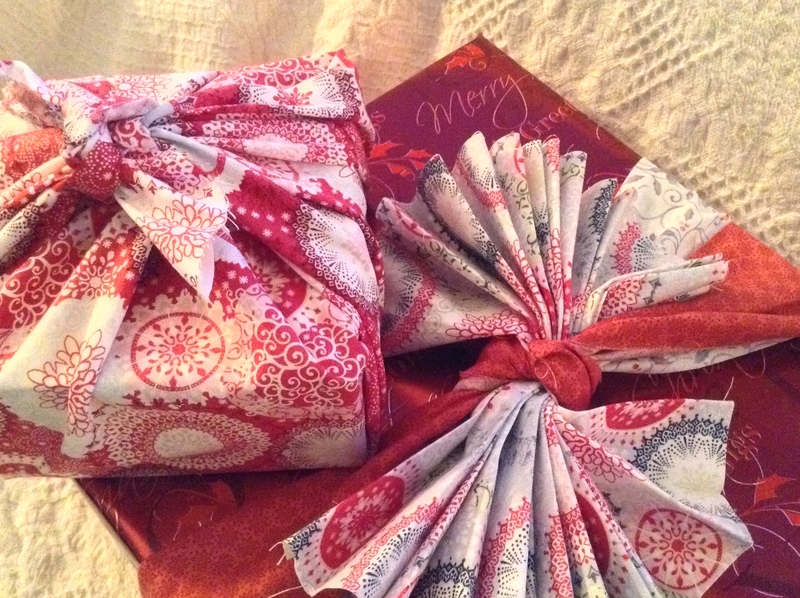 The simplest way to wrap a small package is with a well-pressed fat quarter. Lay the fat quarter wrong side up on your work surface. Set the small box in the middle at an angle, lift two opposite corners of the fat quarter up and over the box and tie in a knot. Lift the remaining two corners up and tie in another knot. Finished! Super easy, and the fat quarter can be pressed and used by the recipient. 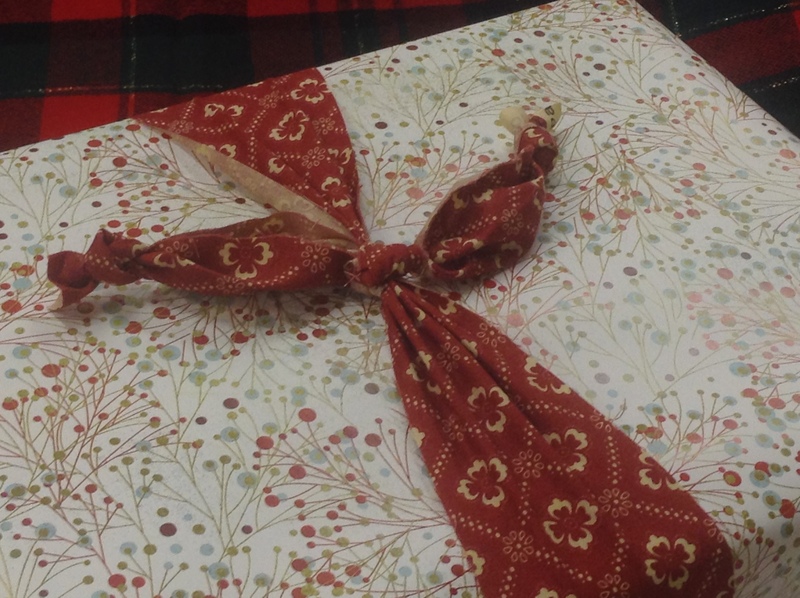 Another way to wrap a gift is with fabric strips. This is a larger box that I’ve wrapped first with wrapping paper. I had two 5″ x width of fabric (WOF) strips and another 8″ x WOF strip. I laid the first 5″ strip on my work surface with the wrong side up and placed the box on top. Bring the ends of the fabric strip up and over the box and tie in a knot. 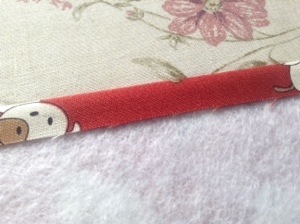 The second 5″ strip (the red strip in our sample) was threaded under the knot that we just made, with the wrong side up. 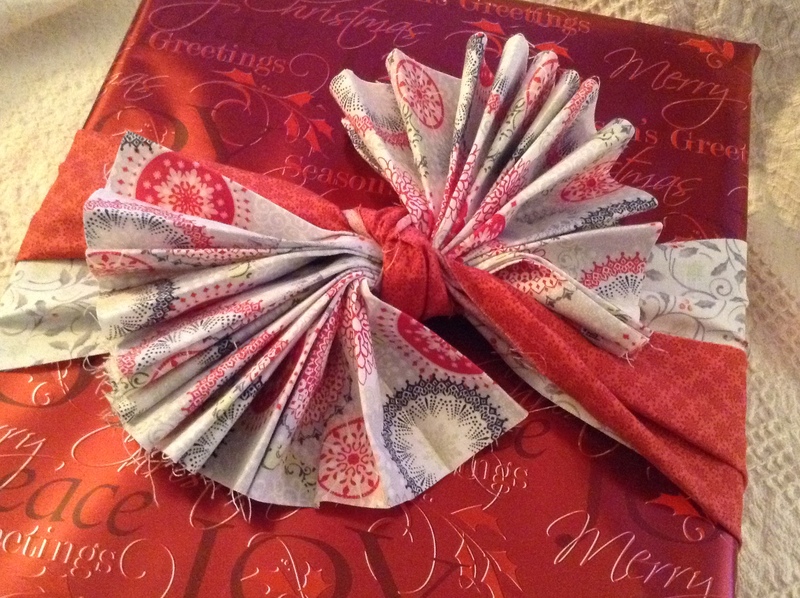 I took the 8″ strip to the ironing board and accordion folded it (remember the paper fans we used to make as kids? ), pressing as I went. The folded strip of fabric was placed on top of the knot. I brought the red strip up and over the folded fabric and tied it once. This secured the folded fabric to the package. I took the ends of the red fabric and wrapped it around to the back of the package, securing it with a hidden safety pin. Fan out the folded fabric, and it’s complete. 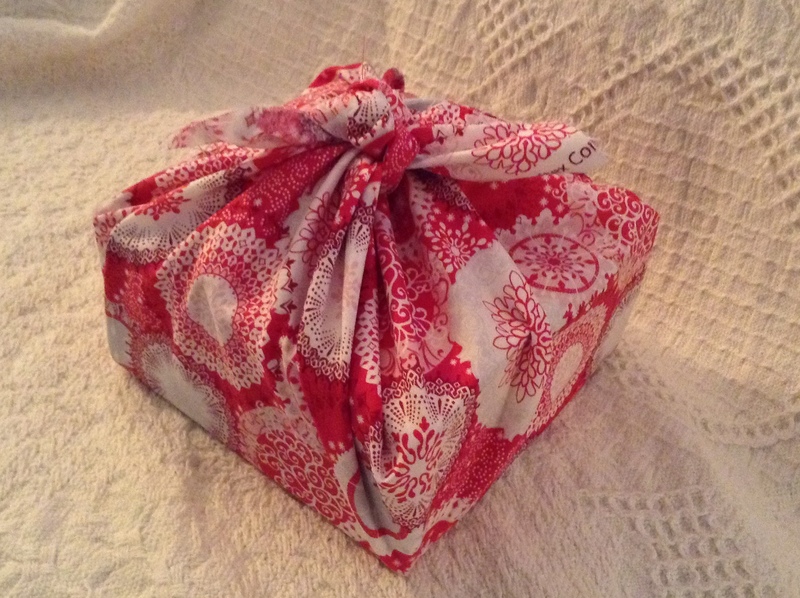 Here’s another idea…Karen took a narrow strip of fabric, wrapped it once around the package, tied a knot and knotted the ends. Simple and pretty! Does anyone recognize what was used on this package? Karen took one of our 3/8 yd cuts of minky and wrapped it around the package. 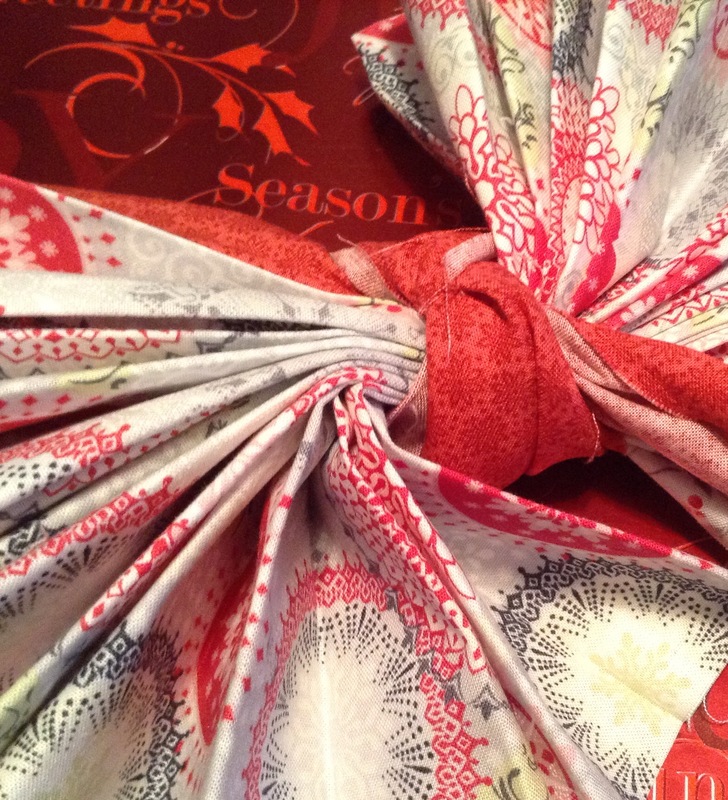 Tie it in a knot and you have a cute package topper…and the recipient can use it to make a minky infinity scarf. I thought it would be handy to have a place where you could go to see all of the projects. Below is a thumbnail-sized image of all of our gift ideas. Click on a photo, and it’ll take you directly to that post. Thanks so much for joining us! We’ve reached Day 30 of our Gift Inspiration Event. Thanks so much for joining us each day. We hope that you’ve found a couple of new projects to make…either to give as gifts or to keep for yourself. 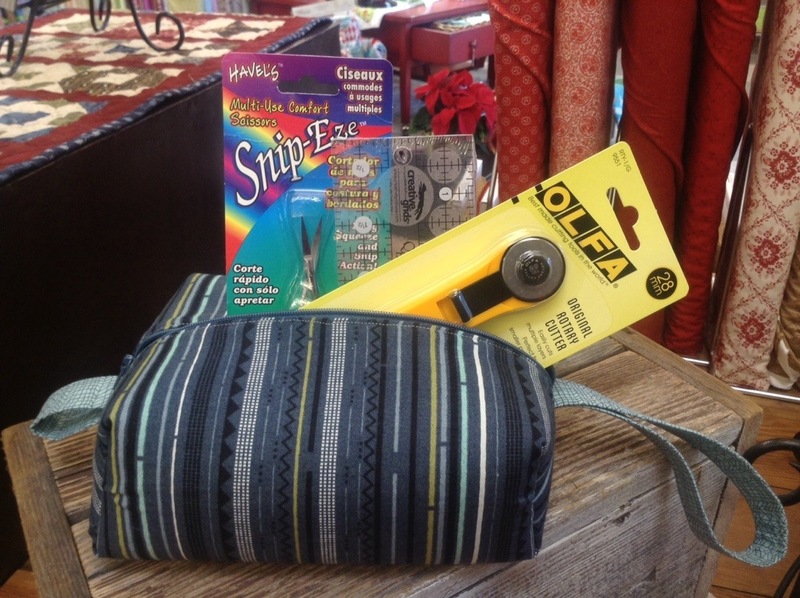 Our final gift idea is another fast project. 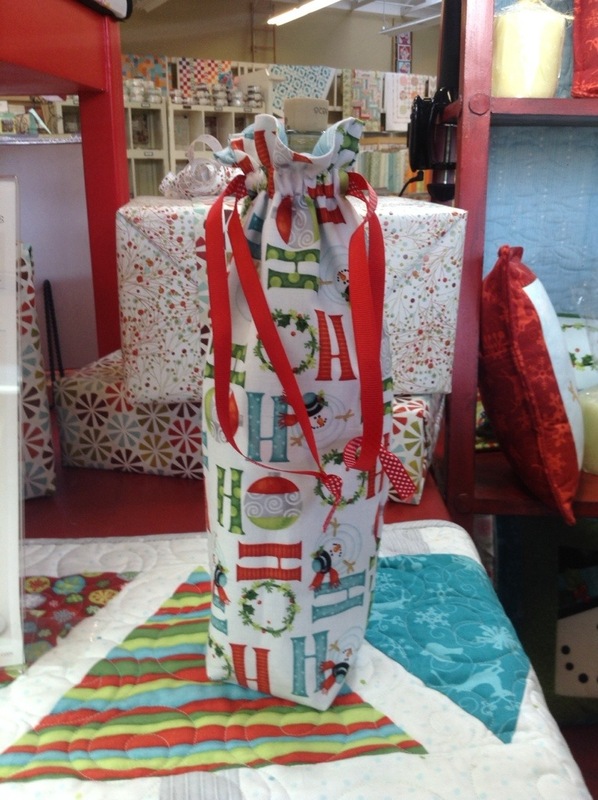 If you give wine or sparkling cider as a gift, why not package it in a pretty, re-useable bag? One of my favorite things about hand crafted gifts is that they can be personalized to the recipient. 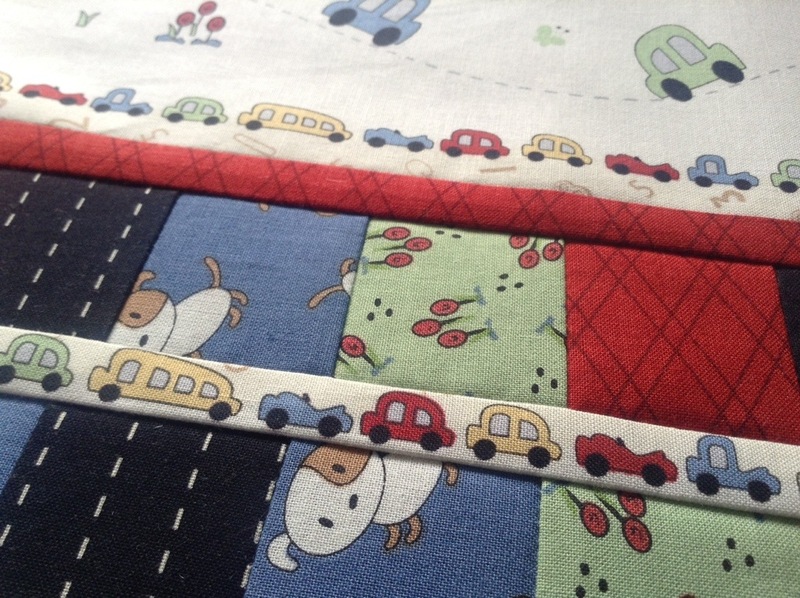 With so many fabric designs to choose from, there’s something for everyone! 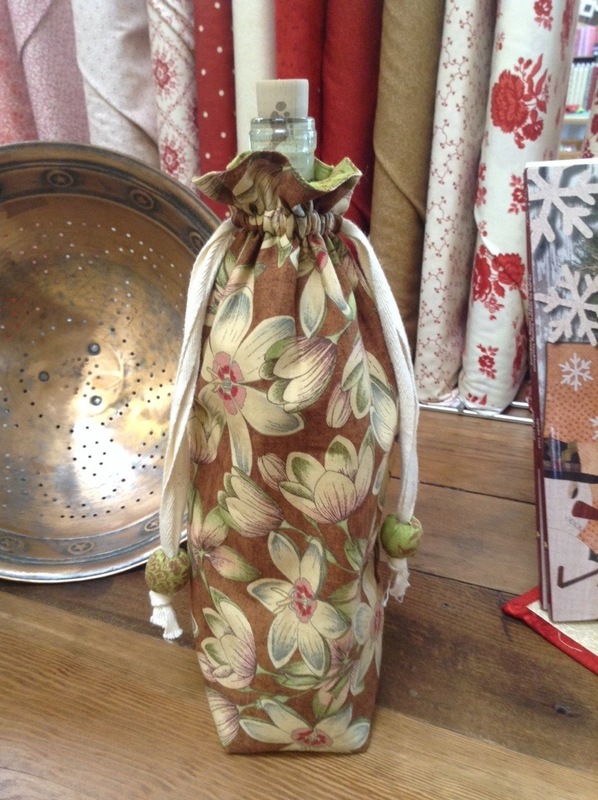 Our “Holiday Gift Bags” pattern, which includes instructions for both the wine gift bag (6″ x 12″) and a small gift bag (6″ x 7″), is available free with purchase both at Quilt Expressions and on our website. When placing your on-line order, request the “Holiday Gift Bags” pattern in the “Special Instructions and Comments” section. 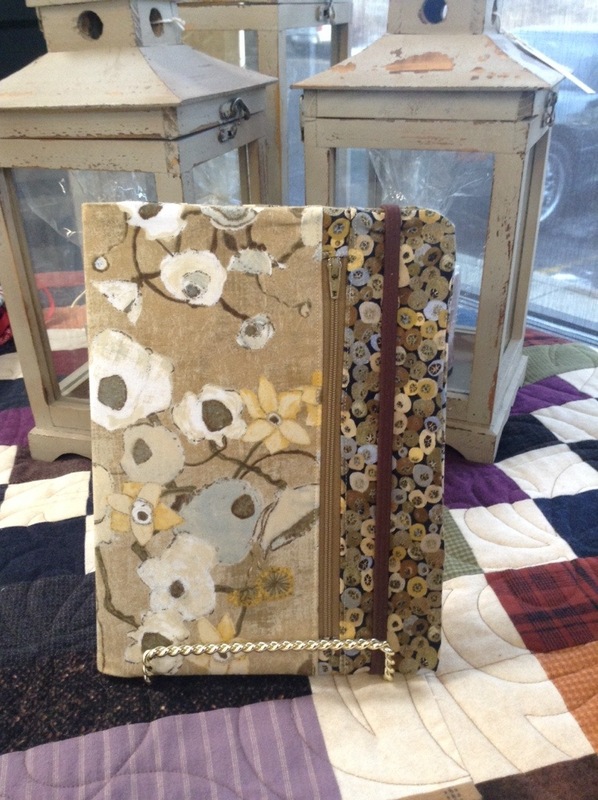 Our “On the Fly” journal cover pattern was created to take to Market with Karen and Della. They needed something they could use for notes and also wanted it to hold ID, credit cards and business cards. The outside has one pocket with a zipper and, and it is held shut with an elastic band. The inside features several pockets, including one clear pocket. 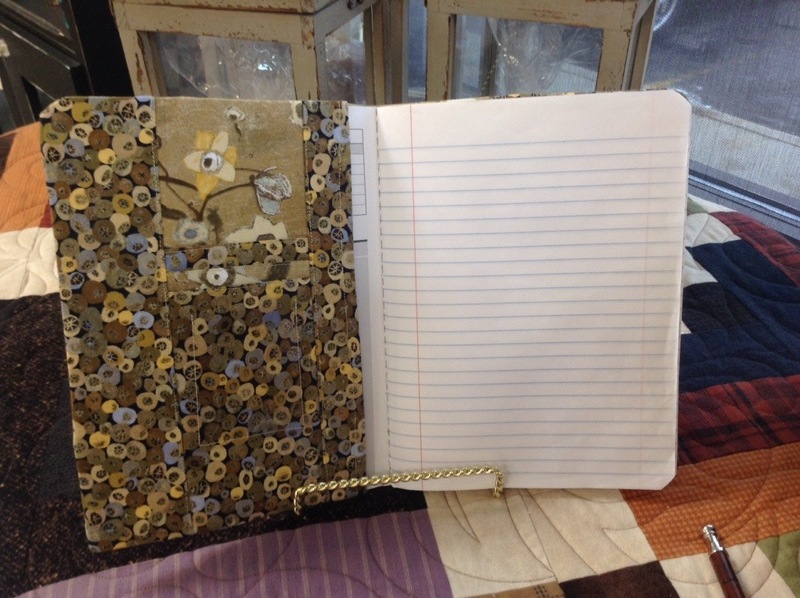 The journal cover is the perfect size for a composition notebook. If you happen to have a teacher on your gift-giving list, the “On the Fly” journal keeper would be a useful gift. 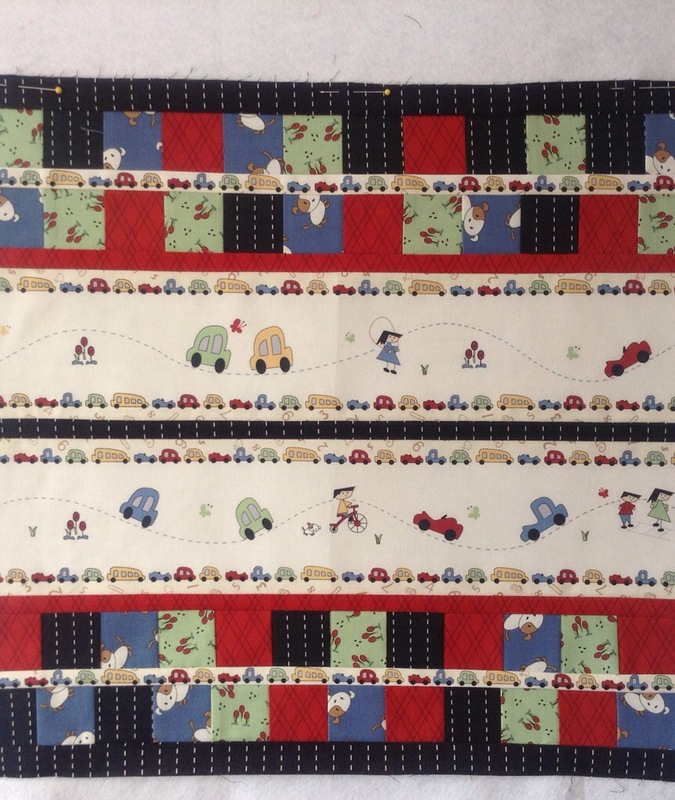 The pattern is available for purchase at Quilt Expressions and on our website. There’s one project that satisfies my creative style….I love to create something from scratch, without a pattern, and I don’t always have time to create something big. 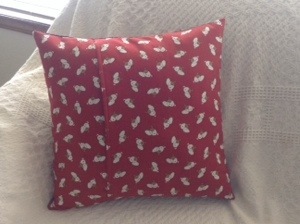 Throw pillows are the perfect solution ~ pick a size, be as creative as you want, and then add the back. Fast…easy….fun…and useful! They are also a perfect gift for so many people on your list. I have two pillow tutorials for you today. First, we’ll make the front of the “Two Squared” pillow in the top photo. Then, we’ll make the front of the “Playground” pillow in the second photo. 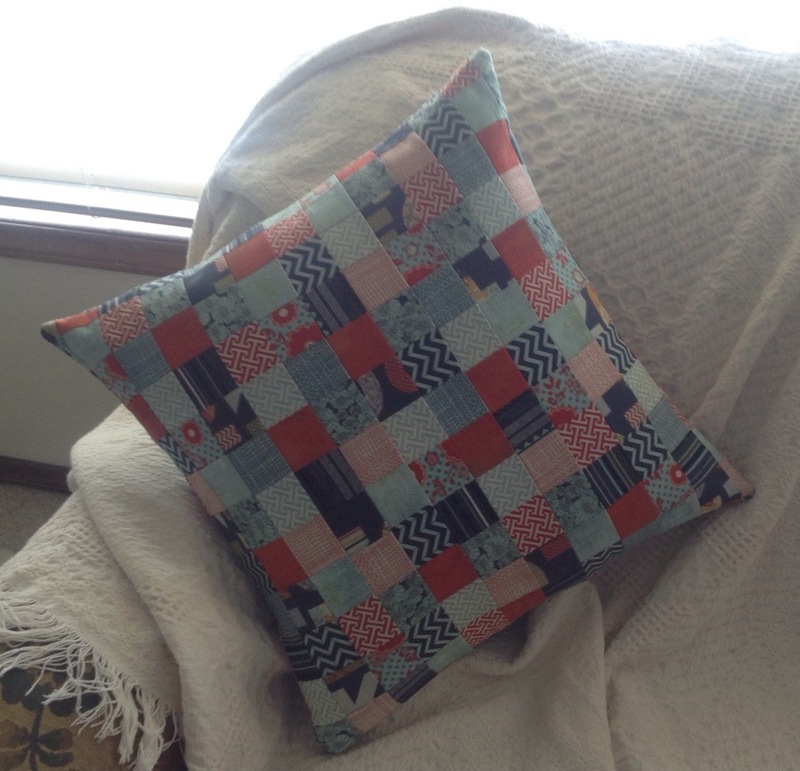 Last, I’ll show you how to make an envelope pillow back. 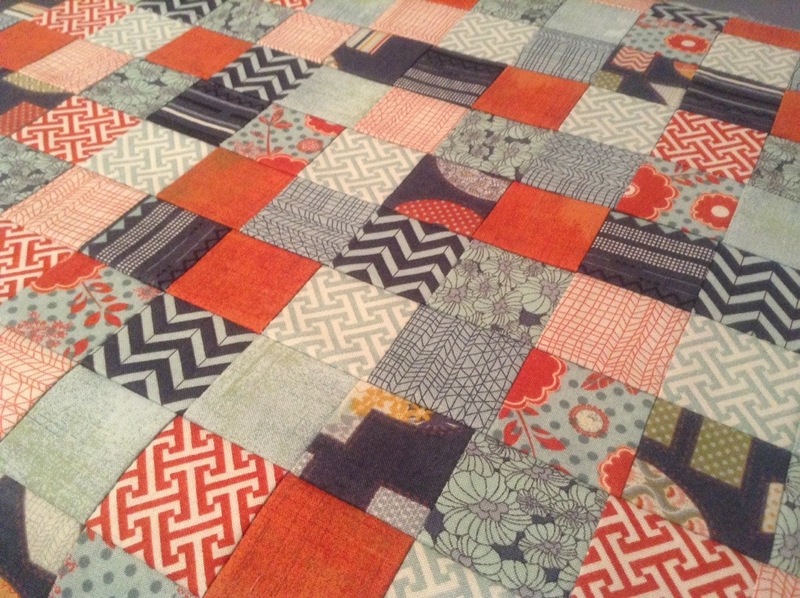 Fabric: “Two Squared” is made with PB & J by Basic Grey for Moda and “Playground” is made with Vintage Play by Suzn Quilts for Red Rooster. 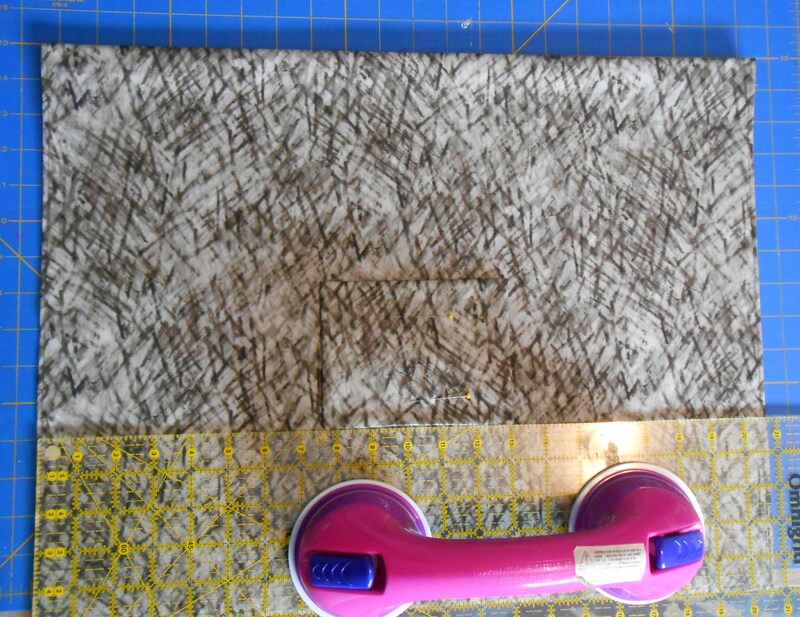 On a work surface or design wall, arrange the 2″ squares in 12 rows of 12 squares. 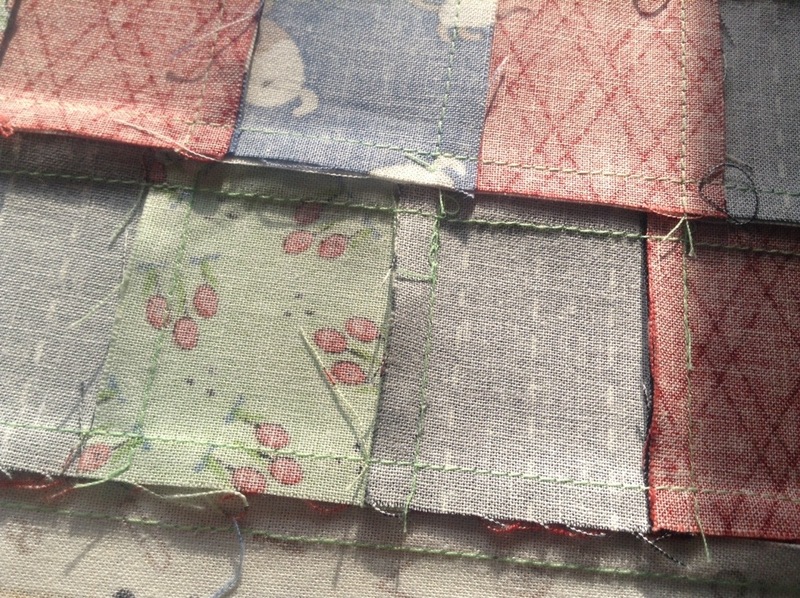 Sew the squares into rows. Press each row in opposite directions. Sew the rows together. 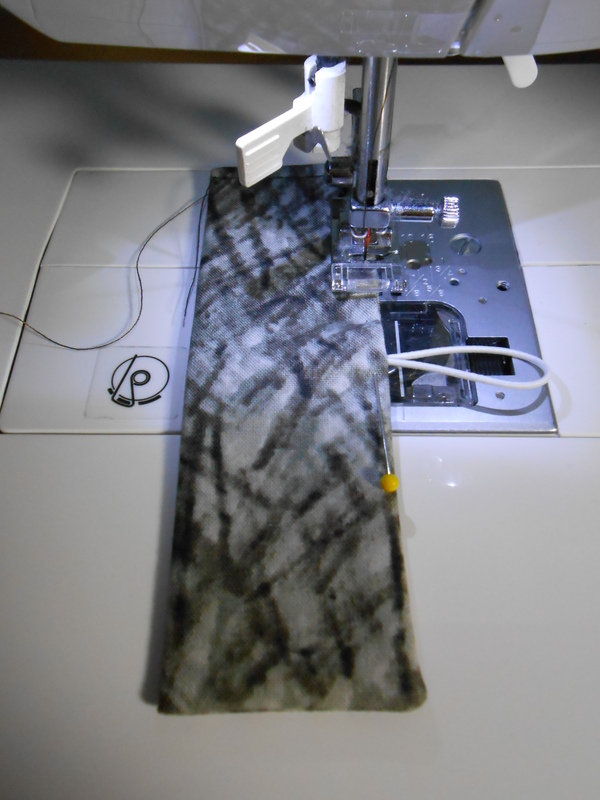 With a warm, dry iron, fuse the fusible fleece to the back of the pillow front. That’s it! The Two Squared pillow front is complete. We’ll work on the pillow back in a moment….first, let’s put together the Playground pillow front. For the construction of the Playground pillow front, please refer to the photo above. Lay the pieces out as described on your work surface. 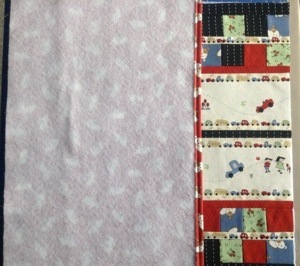 Sew together each row of 2″ squares and then sew each row together, starting at the top. Use a 1/4″ seam. Below, I’m also including a row-by-row description. One note on pressing…I didn’t want the 1/2″ finished strips to be lost among the squares and larger strips, so I pressed both seams toward the skinny strip. This causes that strip to appear to lay on top of the adjoining rows. If you prefer to have them appear behind the adjoining rows, press the seams toward the pieced rows. 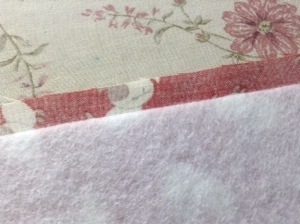 In the photo above, both seams have been pressed toward the 1″ strip (1/2″ finished), completely hiding it on the back. 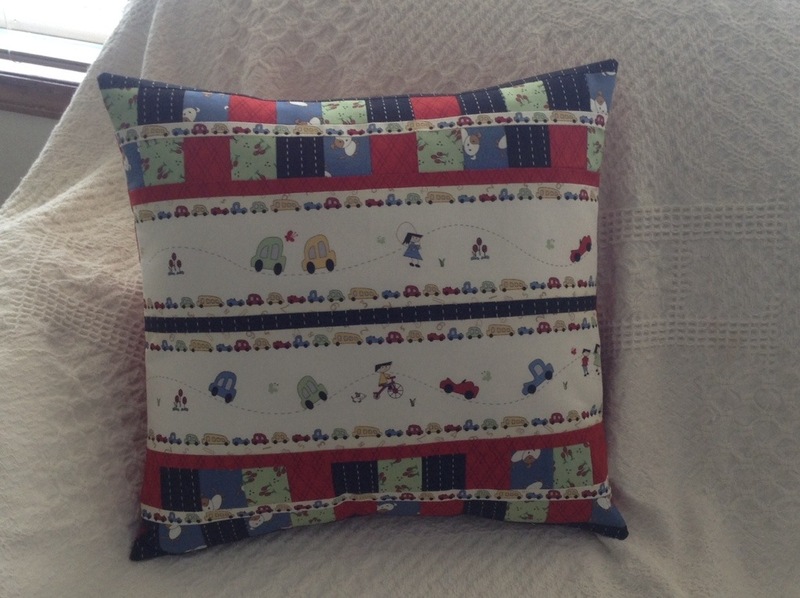 Once the 13 rows are joined together, the “Playground” pillow front is complete. 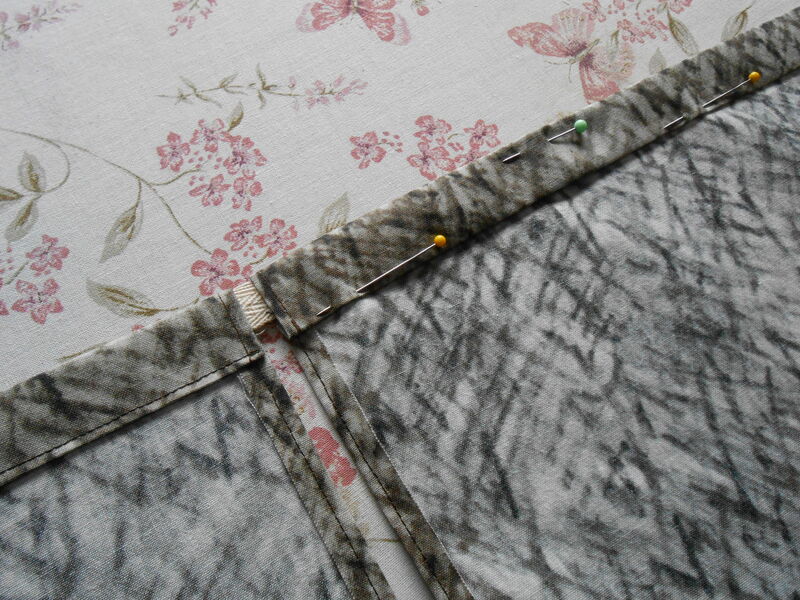 Using a hot, dry iron, fuse the fusible fleece to the wrong side of both pillow back pieces, matching one long side and both short sides. 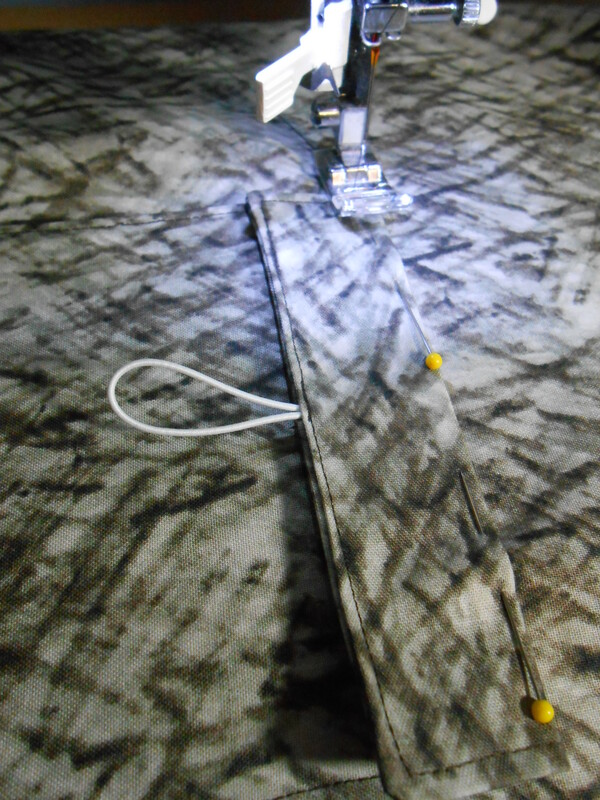 The fusible fleece should be 1/2″ short on one long side. Fold over the 1/2″ of fabric and press. Top stitch 3/8″ from the fold. Repeat with second pillow back piece. Lay the pillow front right side up on your work surface. 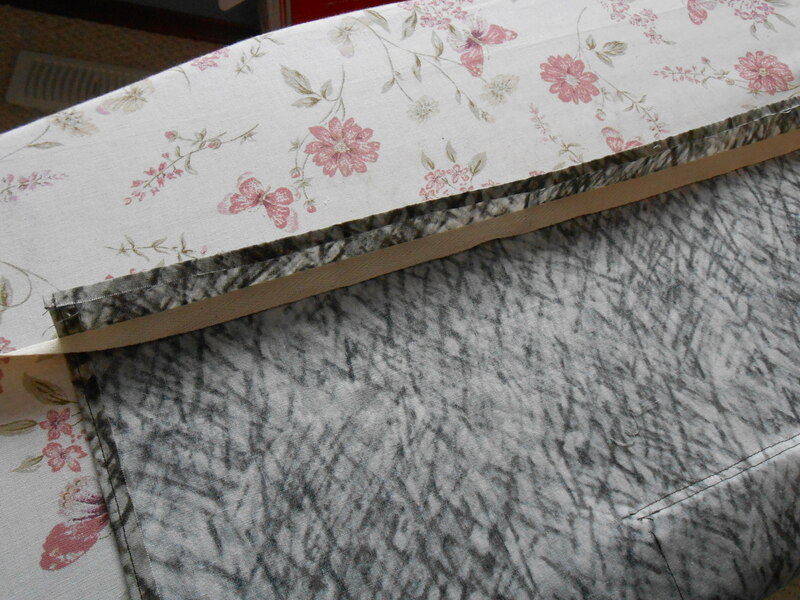 Lay one of the back pieces right side down on top, lining up the 18- 1/2″ raw edge with the left side of the pillow front. 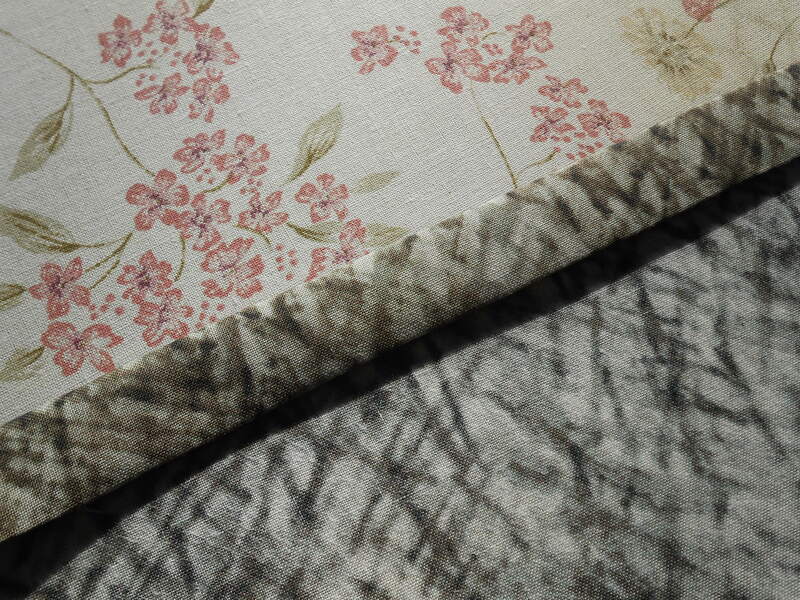 Lay the second pillow back piece right side down on top of the pillow front, matching the 18- 1/2″ raw edge with the right side of the pillow front. Pin well. 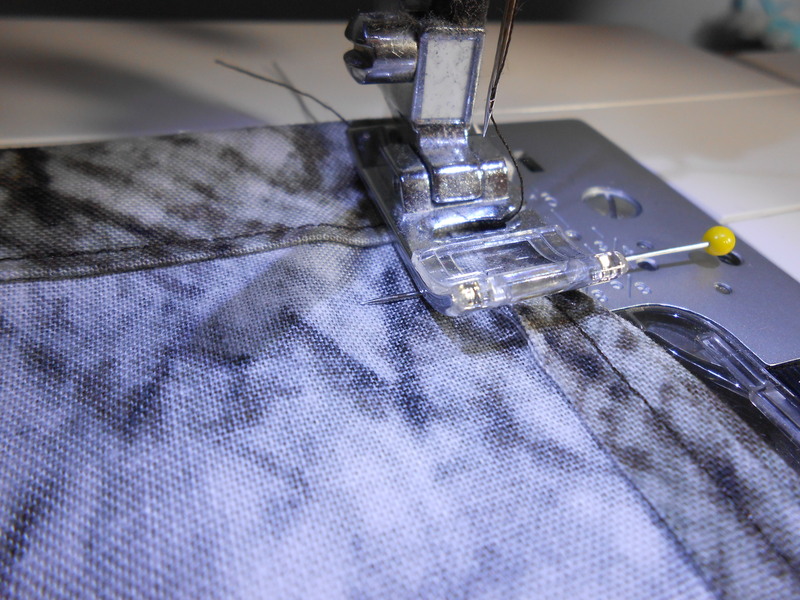 Using a 1/4″ seam, sew around entire piece. Backstitch over the finished ends of the pillow back pieces to reinforce them. Clip the corners and turn right side out. Reach your hand inside and poke corners out to get a nice point. Insert pillow form into pillow. Note on pillow back: Envelope back pillows can often spread apart once the pillow is inserted, causing a gap. I’ve added a couple of inches to the standard formula; this results in a perfect fit on the back of the pillow. My son turns thirteen the day after Christmas. He started walking at ten months. This means that I’ve been asking him to put his dirty laundry away for approximately 145.5 months. 145.5!! Strangely enough, as I look around his room right now, his dirty laundry is..brace yourself…on the floor! I’m sure all that’s been missing, all that he needs to inspire him to take care of it, is a laundry bag. Right? (It’s ok to agree just so my hope remains intact). Do you have a child that’s laundry-challenged? How about a college student that has to haul everything to the laundry facilities? Someone who travels often? 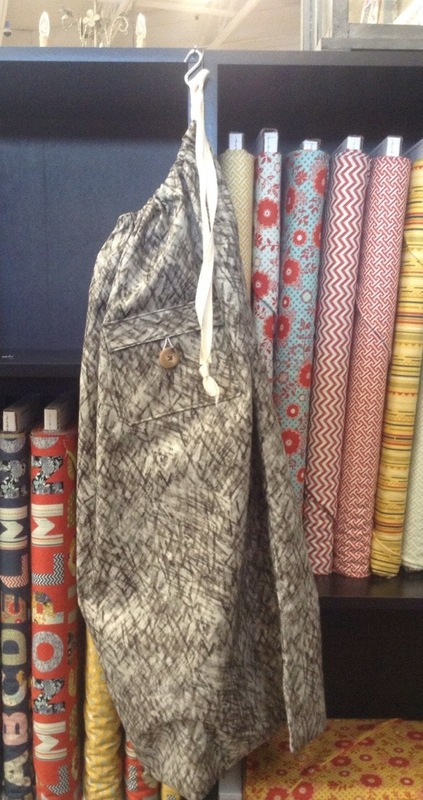 Today’s gift is a perfect match for all of them…a drawstring laundry bag with a pocket for quarters. Step 1: Remove the selvage from the fabric. Cut the fabric so you end up with one piece 31.25″ x width of fabric (WOF) and one piece 4.75″ x WOF. When I was looking for a pattern to use for this bag, I was unable to find one that included a finished edge at the top where the drawstring is located. This pattern has a couple of extra steps to ensure that the drawstring portion doesn’t fray. 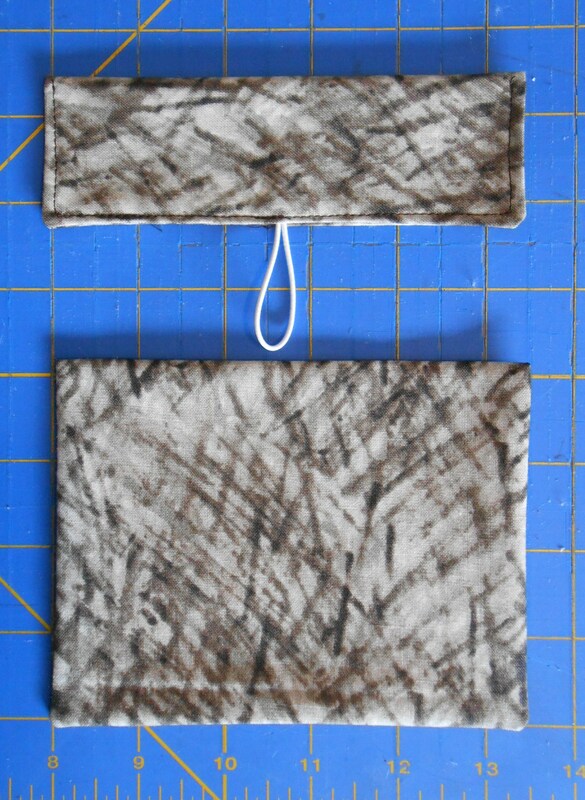 Step 2: To make the (2) bag body pieces, cut the large piece of fabric into two pieces measuring 21″ x 31 1/4.” Let’s go ahead and finish the sides so we have a nice edge on the drawstring portion. On both 31 1/4″ sides, fold over 1/4″ with wrong sides together. Press and top stitch 1/8.” Repeat with second 21″ x 31 1/4″ piece. On both pieces, fold the top over, wrong sides together, 1/4″ and press. Fold again 3/4″ and press. Set aside. 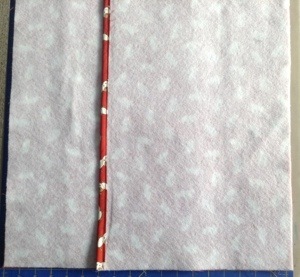 Step 3: To make the pocket, cut two pieces 4 1/2″ x 6 1/2″ from the 4 1/2″ x WOF strip. 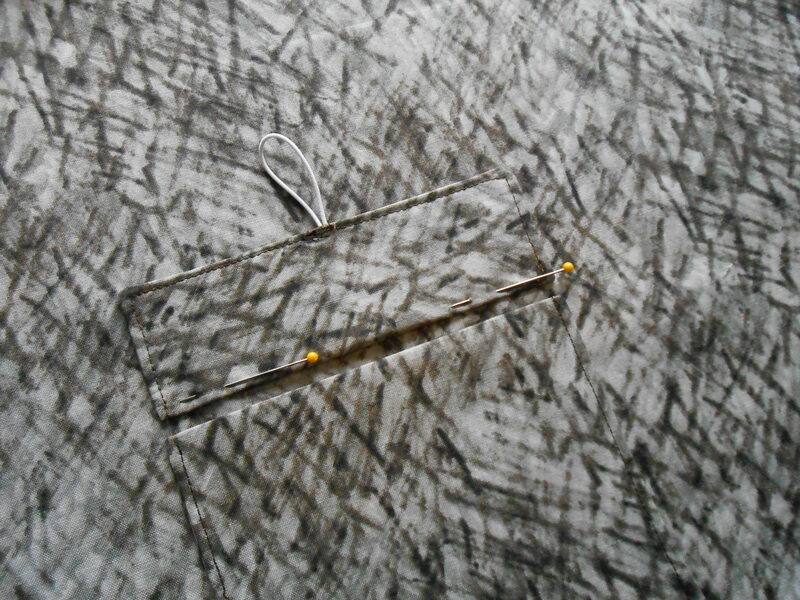 Place RST and sew a 1/4″ seam around all four sides, leaving a 3″ opening on one 6 1/2″ end for turning. Clip corners, turn and press. Top stitch across the 6 1/2″ end without the opening. Set aside. 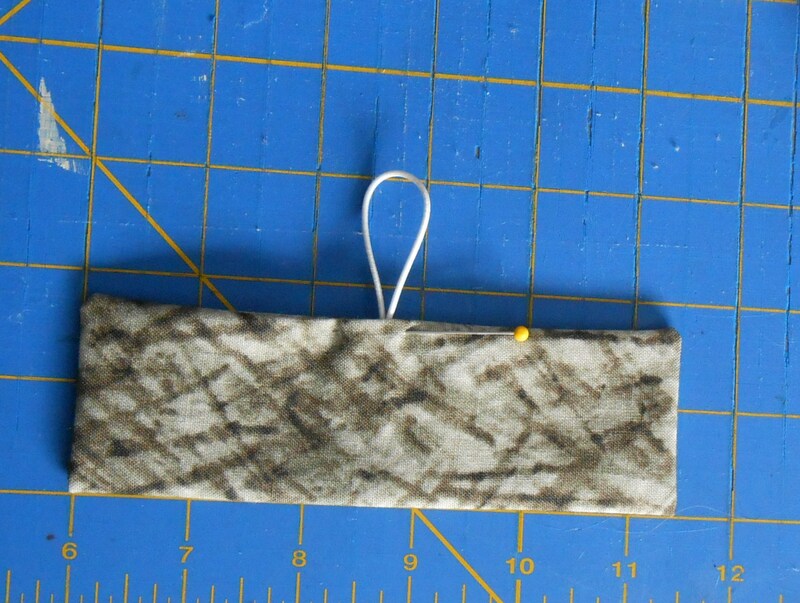 Step 4: From the remainder of the 4 1/2″ x WOF strip, cut one piece 6″ x 4.” With a hot, dry iron, fuse the interfacing to the wrong side of the 6″ x 4″ piece. Fold RST and sew both short sides and the open long side. Leave a 3″ opening in the long side for turning. Clip corners, turn and press. Step 5: Top stitch around both short sides and the side with the elastic, reinforcing the seam over the elastic. You should now have one pocket piece and one flap piece. Step 6: Lay one of your bag body pieces right side up on your work surface. The pressed end of the bag body piece should be at the top. Position the pocket with the topstitched side at the top on the bag body piece. It should be approximately 6 3/4″ from the top of the bag body piece and 7 1/2″ from each side. Top stitch around the bottom and both sides of the pocket. Step 7: To attach the pocket flap, lay it above the pocket as shown above. 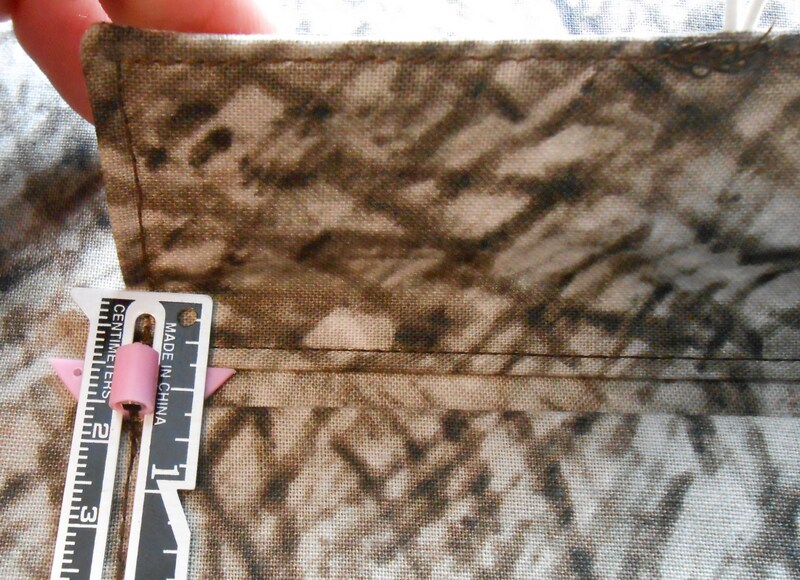 The photo below shows that I left approximately 1/4″ between the top of the pocket and the bottom of the flap. Edge stitch along the bottom of the flap piece. Fold over the flap piece, leaving another 1/4″ between the bottom of the flap piece and the fold. Again, refer to the photo below as it’s a bit difficult to envision. Once the flap is folded over, pin and top stitch 1/8″ from the top of the flap piece. The pocket and flap are complete. Fold over the casing and pin along the bottom edge. 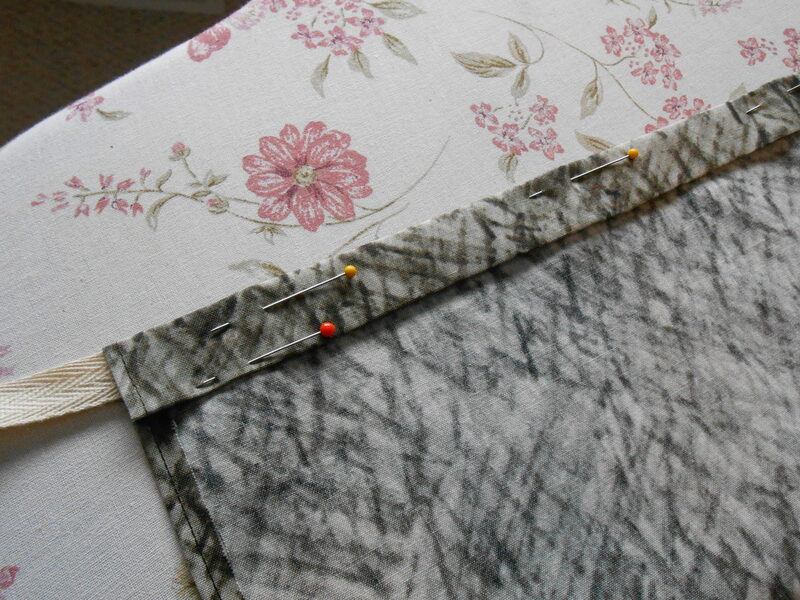 I also like to pin near the top to ensure that the twill tape remains along the crease and out of my seam. Edge stitch 1/8″ along the bottom fold. Step 9: Lay the piece you just finished wrong side up on your work surface. Lay the second body piece next to it, wrong side up. Place the twill tape against the crease as we did in the last step. Pin well and edge stitch 1/8″ along the bottom fold. Step 10: Place both bag body pieces right sides together, lining up all sides. 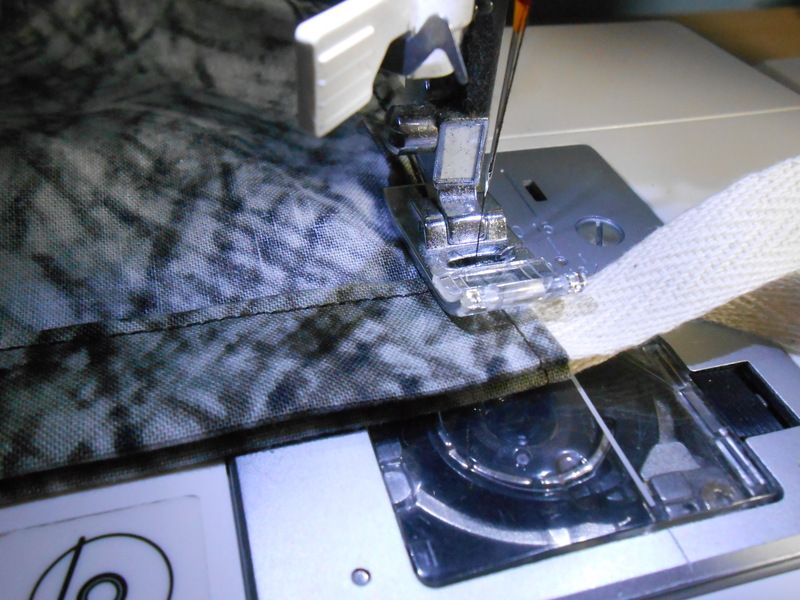 Starting just below the twill tape casing, sew a 1/2″ seam down the side, along the bottom and up the second side. 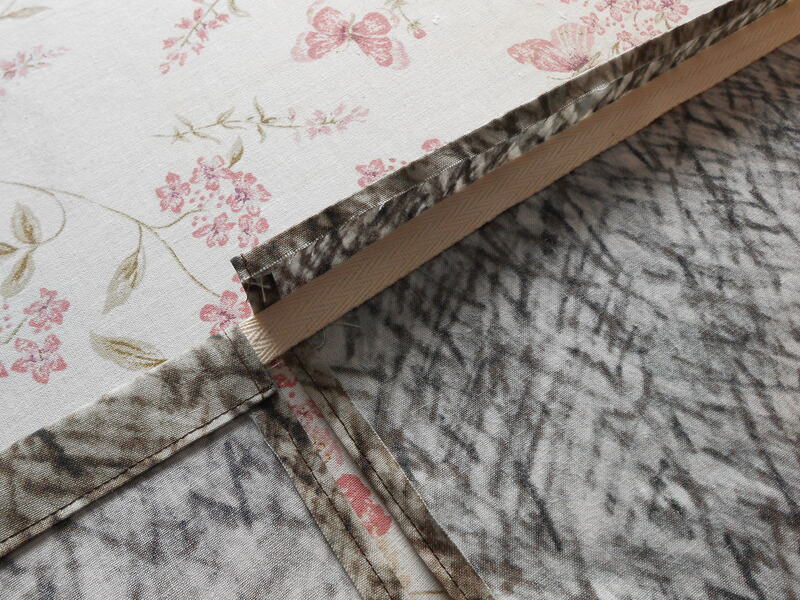 End your seam just below the twill tape casing. Clip the corners, turn and press. 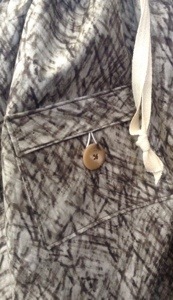 Sew the button on to the pocket, and you’re finished! When we decided to do our “Thirty Days of Gift Giving Inspiration” event here on the blog, we wanted to be sure to include several ideas for the guys on our gift giving list. I don’t know about you, but they are the hardest to make things for! Even a Pinterest search doesn’t yield many results. 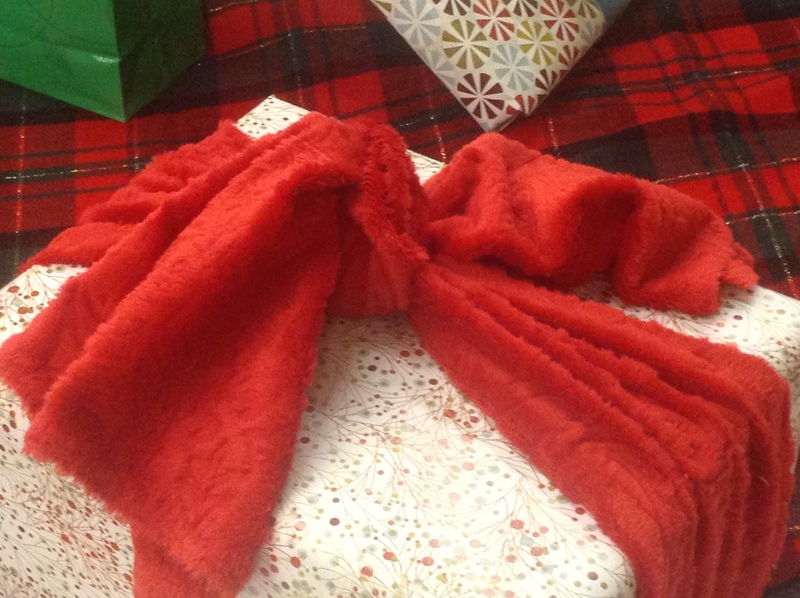 So far, we’ve had the Father & Son ties, the apron and oven mitt set, the travel neck pillow, and the flannel scarf. 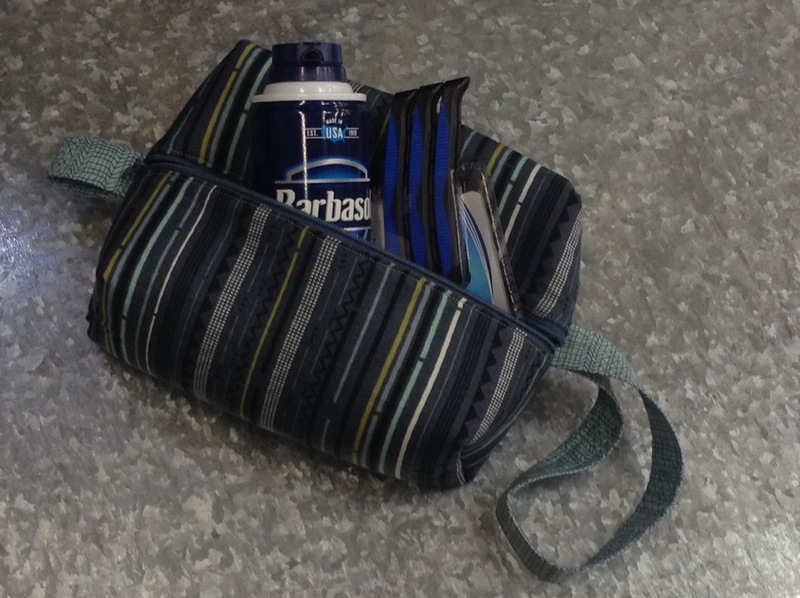 Della found a pattern for a shaving bag that is fast and easy. The pattern is available here.